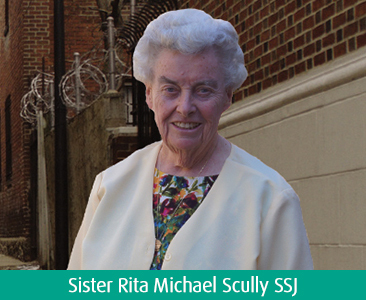 Sister Rita Michael Scully SSJ is on a mission to aid Philadelphia’s homeless. Her mission doesn’t require a building, a vision statement, a strategic staff…just a sturdy pair of shoes, a bus pass and a canvas bag. Two Saturdays each month she travels the streets of Center City Philadelphia, delivering socks to the homeless. Click here to learn more about Sister Rita.